A patient presents with a sudden onset of stiffness and muscle aches, particularly around the hips and shoulders. These symptoms are so severe that they change her day-to-day life – she can’t dress herself, do exercise, or go to the shops. She feels old; much older than she should. Her quality of life was being hampered by these symptoms. She struggled to dress herself, needing to swing her trousers to hook them over her foot in order to get them on. She was unable to go to the shops and back, let alone the gym to do some exercise, and generally felt like an old person. Diagnosis: polymyalgia rheumatica (PMR) The patient was diagnosed with polymyalgia rheumatica – an inflammatory rheumatic condition. Classic polymyalgia rheumatica symptoms include aching and stiffness in the mornings around the shoulders, neck and hips, as seen in our patient. PMR may also cause tiredness, loss of appetite, weight loss, and depression. Polymyalgia rheumatica rarely occurs in patients under 50 years of age, and its prevalence increases with age, with the majority of cases being diagnosed in patients between 70 and 80. PMR is more common in women than in men, and occurs more often in Caucasians than other races; however the lifetime risk is relatively high across the board, and as far as systemic rheumatic diseases go, it is second common only to rheumatoid arthritis. In fact, sometimes PMR can be a feature of rheumatoid arthritis and other inflammatory conditions. PMR is often associated with temporal arteritis, a.k.a. giant cell arteritis (GCA) – an inflammatory disease involving the narrowing or even blockage of blood vessels in the neck, arms, and scalp. Temporal arteritis can prove very serious, potentially leading to blindness. Polymyalgia rheumatica treatment usually consists of steroid medication to manage the symptoms. The corticosteroid prednisolone is commonly prescribed, due to its ability to block the effects of chemicals in the body that cause inflammation. However, steroids such as this do not cure the condition; rather they work to improve quality of life. Steroids, like many medications, can potentially cause side effects, and you should always consult your doctor or a specialist before taking anything, as they will be able to recommend the best course of action for you. In the case of our patient, Dr Mahmud was able to successfully diagnose polymyalgia rheumatica, and treat the condition accordingly. The patient responded rapidly to the treatment. Her symptoms cleared up, and she was once again able to dress herself, go to the gym, play with her grandchildren, and live her life to the fullest. In her words, she had her life back. Many people think osteoporosis is simply linked to old age – the older we get, the more chance we have of developing osteoporosis. While this is true in some ways, age isn’t the only factor involved, and osteoporosis is linked to various other medical conditions, some of which might be surprising. While it’s not certain that people will develop osteoporosis simply because they have these conditions, it is important for individuals to be aware of the increased risk and how other diseases are connected to osteoporosis. 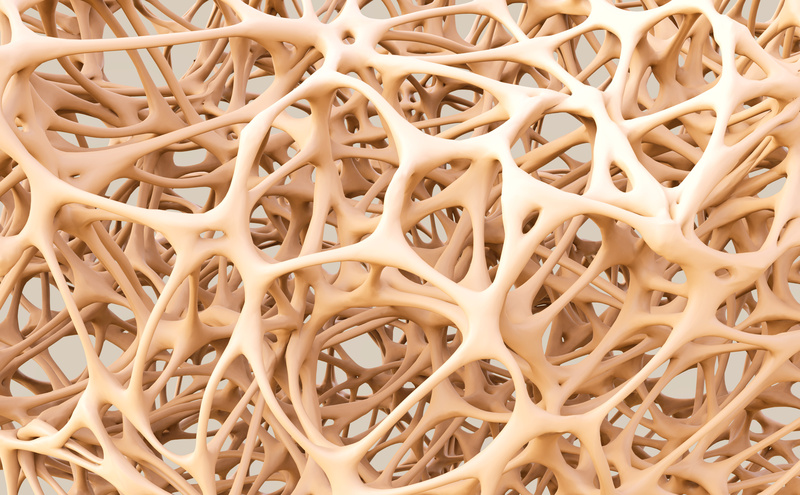 Dr Taher Mahmud of the London Osteoporosis Clinic explains more. Rheumatoid arthritis is an autoimmune disease, meaning the body attacks its own cells and tissues. Osteoporosis and rheumatoid arthritis are closely linked, and osteoporosis can be caused by RA in a number of ways. Rheumatoid arthritis has no cure, and is currently treated through management of the symptoms. Chronic inflammation over time has an effect on the body, accelerating bone loss, as do drugs which are used to control the inflammation. Everybody loses bone mass over time, but rheumatoid arthritis speeds up the process and contributes to bone damage, increasing the risk of fracture. Inflammatory bowel disease, or IBD, describes a group of intestinal disorders which cause inflammation in the digestive tract. Coeliac disease is a digestive condition in which the small intestine cannot absorb nutrients correctly, caused by an adverse reaction to gluten. IBD and other gastrointestinal diseases have been linked to osteoporosis, through nutritional factors (levels of calcium, vitamin D, and other minerals may not be as high as in those with no intestinal disorder), corticosteroid use over time, and the long-term inflammation. 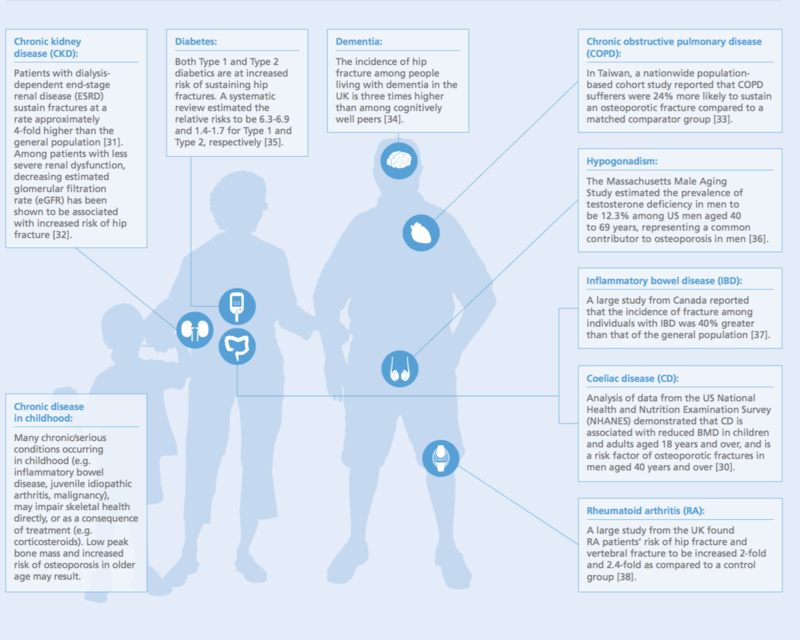 Diabetes is linked to many medical conditions and illnesses, including osteoporosis. Type 1 diabetes is linked to low bone density, and difficulty reaching ideal bone mass. Our bones grow and get stronger until they reach their peak bone mass, so if this is low to begin with, patients have a greater chance of developing osteoporosis or experiencing a fracture. Diabetes is also associated with being overweight, which can contribute to osteoporosis and fracture risk. It is important for diabetes patients to get the correct nutrition and exercise regularly, in order to reduce the risk of osteoporosis and other medical conditions linked with diabetes. Both dementia and osteoporosis are commonly seen conditions in those with old age, but the two are also connected. Those who suffer from dementia run a significantly higher risk of hip fracture than those who have no cognitive disorder. There are many factors which increase the risk of hip fracture, but falls are more common in those with dementia – particularly multiple falls. In those with dementia, the correct care and attention is crucial and can help patients to reduce the risk of fracture. Chronic kidney disease, or CKD, describes the gradual loss of kidney function, and is associated with bone disorders and an increased risk of fracture. In those with CKD, fractures in elderly patients are twice as common as in those with normal kidney function. Hypogonadism refers to the decreased function of the gonads, which in men is the testes, and the ovaries in women. This means less oestrogen or testosterone is produced or there is a deficiency in production. Oestrogen deficiency is connected with osteoporosis – menopausal women have been proven to be more at risk – and some studies have shown there is a relationship between testosterone levels and bone density. Progressive lung diseases such as chronic bronchitis and emphysema fall under the umbrella of COPD, which is a term used to describe various inflammatory airway diseases. Reports have shown that low bone mineral density is prevalent in those with COPD, along with reduced physical activity, and vitamin D insufficiency/deficiency, increasing the risk of both osteoporosis and osteoporotic fracture. In those with COPD, screening is recommended as a routine procedure for earlier diagnosis of osteoporosis and appropriate treatment. Some of the above conditions can also occur in childhood, such as inflammatory bowel disease, and diabetes. Other chronic conditions such as juvenile arthritis also increase the risk of osteoporosis, either through impact on skeletal health or inability to achieve ideal peak bone mass. If you have a question please contact our office by email or phone. Gout is a type of arthritis, and is an inflammatory condition which can cause attacks of swelling, which generally are sudden and can be very painful. Gout affects an estimated two out of every hundred people in the UK, with men suffering more from the condition than women. As our lifestyle becomes more indulgent – and especially so at Christmas – gout attacks become more common, and cases of gout are on the rise. Dr Taher Mahmud of the London Osteoporosis Clinic advises what you can do to reduce your risk of developing gout, and how lifestyle measures can help minimise the risk of an attack. Gout is a type of inflammatory arthritis which occurs in those with high levels of uric acid in the blood. Uric acid forms crystals in joints, more frequently in areas such as the feet and toes. As a result, swelling and pain develop in the joint, which is known as a bout, or attack, of gout. A gout attack usually develops quickly, over the course of only a few hours, then going on to last several days. After some time has passed, the inflammation and pain go down, and the joint returns to normal. An attack of gout can come on at any time, but bouts do occur more frequently at night, and they develop quickly. After your first attack, it is likely that you will experience another, but this can happen after months or years have passed. It is important that gout is treated, as if left alone, it can develop and attacks will become more frequent. Treatment for gout focuses on relieving symptoms when they occur, and trying to prevent further attacks from happening. Symptoms during an attack can be reduced through anti-inflammatory drugs, and certain types of medication. To prevent attacks of gout, and to reduce the likelihood of the condition developing, however, the best approach is a change in lifestyle to help reduce levels of uric acid, and prevent crystal deposits from developing. Even in those who do not suffer from gout, aiming for 8 hours sleep every night should be the ideal. Getting the right amount of sleep can help your immune system, which in turn helps prevent against infection and inflammation. Getting enough sleep can help to manage levels of stress and improve your memory, too. Staying active should be a healthy habit which everyone strives towards, but getting enough exercise can also help prevent against attacks of gout. Being overweight or obese can also be a risk factor for gout, so being at a healthy weight can help prevent the onset. Stress can trigger a gout attack, and make symptoms worse when they do occur. Seek out ways to help reduce stress, or help to manage what you have on your plate – even managing in small ways, such as writing lists of what you have to do on a specific day, or setting 30 minutes aside in your day devoted to just you, can help to minimise stress. Alcohol (in all forms) is thought to increase uric acid production, so moderation with alcohol is key in preventing gout attacks. It can be difficult at times like Christmas to avoid drinking, but having a large glass of water after each drink may help you to moderate the amount you drink, and keep track of exactly what you are drinking so you are aware of your consumption. Purine compounds, found in many different foods (and alcohol) increase the build-up of uric acid crystals in the body. If you do suffer from gout, remember not to suffer in silence and make sure you get the right treatment. If left, gout can lead to further problems and attacks can become much more frequent. Talk to your healthcare provider for advice and support. If you have any questions about arthritis, gout, osteoporosis you can contact the LOC office for advice or clinic appointment. Bones strength increases to the age of 35, remains steady for mid-adulthood, then declines by 1-2% per annum but precipitously arpund menopause when bone loss can be 5% per annum for 4-5 years perimenopausally. Cardiovascular disease is the leading cause of death worldwide. According to the British Heart Foundation, 7 million people across the UK are affected by the condition, with it causing 26% of all deaths across the country. 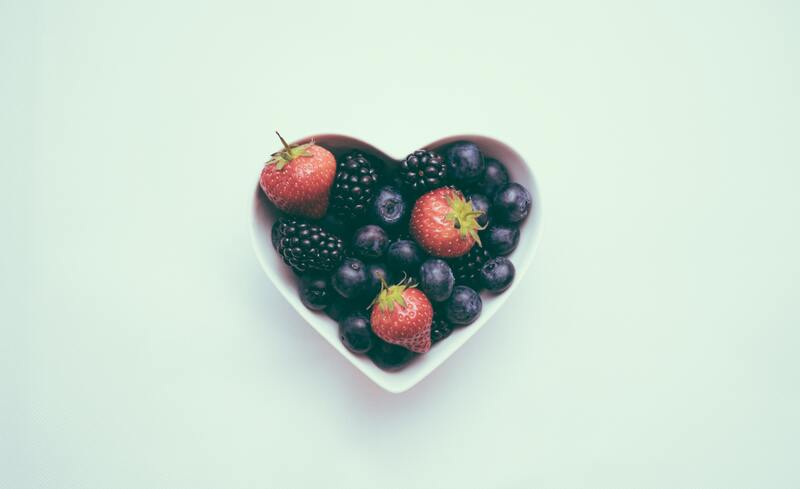 The good news, however, is that most cases of cardiovascular disease – conditions affecting the heart and circulatory system – are preventable, and leading a healthy lifestyle can not only lead to a healthy heart, but numerous other benefits too. Dr Taher Mahmud explains what you can do in your daily life to improve your heart health, and lower your risk of both cardiovascular disease and other health conditions. 39% of adults in the UK do not meet official recommendations for physical activity, which translate to about 30 minutes of moderate intense activity 5 days a week, or 75 minutes of intense activity spread across the week. Even walking at a brisker pace can contribute to meeting these recommendations, or carrying the groceries back from the supermarket! Try to break up periods of being sedentary by taking breaks, reducing the time you spend watching TV or on the computer, and substituting part of your everyday journeys through walking or cycling some of the way. 75% of our everyday food contains salt, so think twice before reaching for the shaker. Try to cut down on the amount which you add to food, and check the salt content in your food to become aware of what you are consuming. Even things you might think of as being healthy, like soup and cereal can often have high salt content. Food which often have a high salt content are smoked foods such as bacon or other types of meat, cheese, olives, pickles and salted nuts. There’s nothing wrong with eating these foods, but try to make sure that you eat them less frequently or cut back on your portion size. Looking after your mental health is important for your heart health, too. In those who are stressed, or depressed, the risk of cardiovascular disease increases. In day to day life, try to find activities that help you to relax and escape, and try to find a hobby that lets you divert your energy into something you enjoy. Try to find the balance between work life and social life, and build your social support network. Find ways to manage your stress and rethink the way you look at situations. Even changing your outlook can be one small way that helps with how you handle stress. Back pain is one of the most common day-to-day health complaints, suffered by most of the UK population at one point or another. Most of the time, back pain gets better over time, and it’s nothing to particularly worry about. That said, if you have to cope with back pain that lasts a long time, it can be difficult to deal with, and cause significant discomfort. Doing exercise for back pain. This can be in the form of particular stretches and exercises, or perhaps attending yoga or pilates classes. 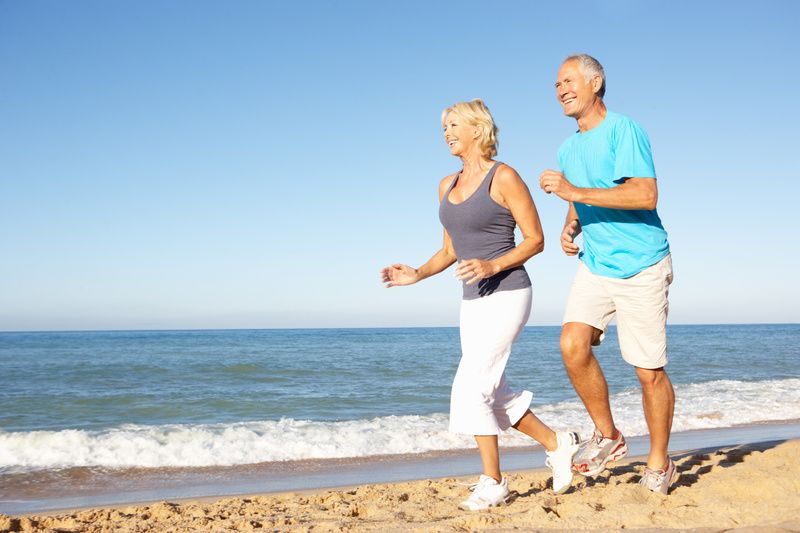 Swimming and walking can also be beneficial – nothing too high impact. As well as exercising, it’s important to be active throughout the day, instead of allowing the pain to keep you either indoors or rest. Going through your daily activities as normal is one of the best things you can do to help, as being inactive for a long time is likely to make the pain worse. Apply hot or cold packs, or a hot water bottle, depending on which you find relieves the pain more. You can even wrap ice or frozen vegetables in a tea towel or cloth if you can’t get cold packs, or want instant relief while at home. Stay positive and optimistic as much as is possible! You’re more likely to recover quicker if you try steer yourself away from a negative outlook. However, if back pain lasts longer than a few weeks, or months, you may need to consider visiting your GP, especially if the pain stops you continuing daily activities, or you’re finding it difficult to manage. If the pain gets worse or more frequent, it’s also a reason to visit a healthcare professional. Your GP will assess you, and refer you on to a specialist if they feel it is necessary. A slipped or herniated disc in the spine. Discs in the spine work together to provide stability in the back, and allow a wide range of movement. Over time these discs may become injured due to pressure and stress, age, or trauma. This can cause lower back pain, leg pain, or numbness and weakness. Sciatica, which occurs when the nerve running down from the pelvis to the feet becomes irritated. Sciatica usually affects one side of the body, and can also cause numbness in the leg. Back pain may also have no obvious cause, in which it is identified as ‘non-specific back pain’. Back pain is treated differently depending on if it has a specific cause, or if it is non-specific. If you experience back pain after having been in an accident or after falling, for example, you should contact your healthcare provider, as it could be an indication of a more serious injury. Treatment for back pain depends on the type of back pain or condition which the patient is suffering from. Your GP may recommend particular methods of treatment, or they may refer you on to a specialist who can deal with specific conditions and different kinds of pain. 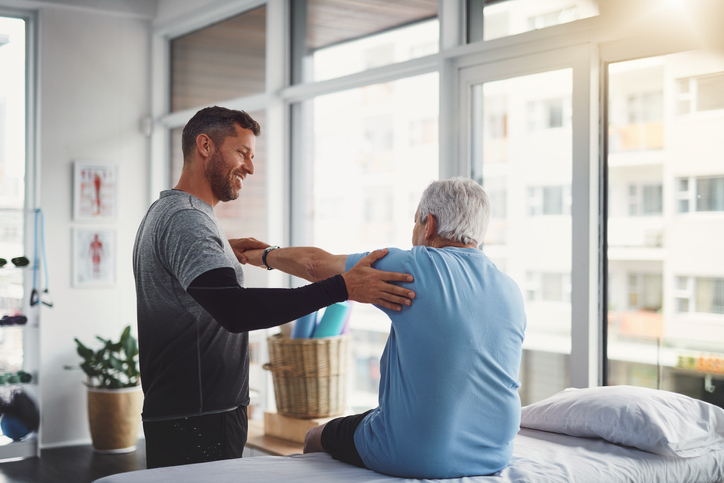 Many methods of treatment include exercise and physiotherapy, where the patient is taught how to practice exercises which will hopefully improve their condition by improving muscle strength and tone. Posture can also be improved on, which in turn can help reduce pain. With manual therapy or physiotherapy, massages or manipulation of a particular area in the spine may be recommended. Make sure to visit a healthcare professional such as a physiotherapist or chiropractor to have this treatment carried out. Some patients may need emotional or psychological support to help them cope with the pain. It can be a struggle to deal with pain that doesn’t go away over a long period of time, and cognitive therapy may be a solution which gives the patient the support they need. With some conditions, surgery may be a solution, but this is only recommended for particular cases when the doctor or healthcare professional has evaluated all the symptoms and assessed the patient’s condition. If you experience back pain in your day-to-day life, there are small lifestyle changes and tips which can help you to cope with the pain and manage it at home. Find out more here. While osteoporosis usually displays no symptoms, one thing that sufferers may notice is the appearance of back pain. In those with osteoporosis or those who have low bone density, back pain is most commonly causes by fractures experienced in the lower back or spine. As bone weakens and loses density over time, the more likely a vertebral fracture becomes. 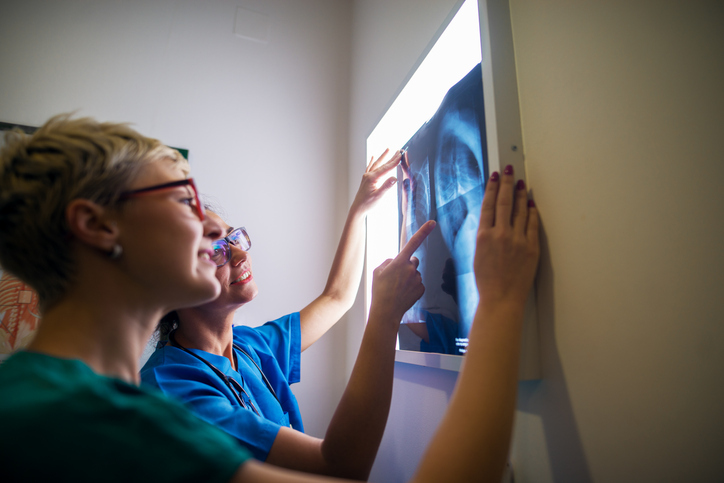 These bone density scans can give you a fair indication of your bone strength, and help your healthcare specialist decide on a course of action. If you have early indication of osteoporosis, bone check-ups can help identify this, and we can act accordingly. Learn more about osteoporosis through Dr Mahmud’s previous articles for Top Doctors and on his clinic website, http://blog.londonosteoporosisclinic.com/blog. In order to promote bone growth and keep your bones healthy, it is important to get enough calcium, vitamin D and other nutrients. If you are lactose intolerant, it may be difficult to get enough calcium from food alone. Osteoporosis prevention and bone health can be improved at any age – do not feel it is too late, and consult a GP or healthcare provider for advice on how to improve your bone health.